AMOLED shortage could slow the smartphone boom | What Hi-Fi? One of the major selling-points of the new generation of smartphones is their use of bright, fast-responding AMOLED screens, making them much better for graphics and video than conventional LCD displays. But industry analyst iSupply says that large-scale adoption of Active Matrix Organic Light Emitting Diode displays – to give them their full name – would call for some 3.8m display panels per month. Samsung Mobile Display, which makes 98% of all AMOLED panels, can only make 3m per month at present. Faced with a situation where Samsung is enjoying considerable sales success with its Galaxy S smartphone, it's thought SMD may find it hard to supply displays to other companies in the quantities required. Already Taiwanese company HTC, which was planning to use AMOLED displays on its Nexus One and Desire smartphones, has gone for LCD screens instead. 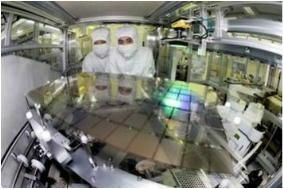 The shortages being tackled, but is unlikely to be short-term: SMD is running production 24/7 to increase supply, and is planning to invest 2.5tn won, or about £1.5bn, in its AMOLED production by 2012. That should give it a ten-fold increase in capacity, to 30m displays a month. However, iSupply suggests that demand for panels will continue to outstrip supply, saying that by 2012 the market could need as many as 100m displays a month.